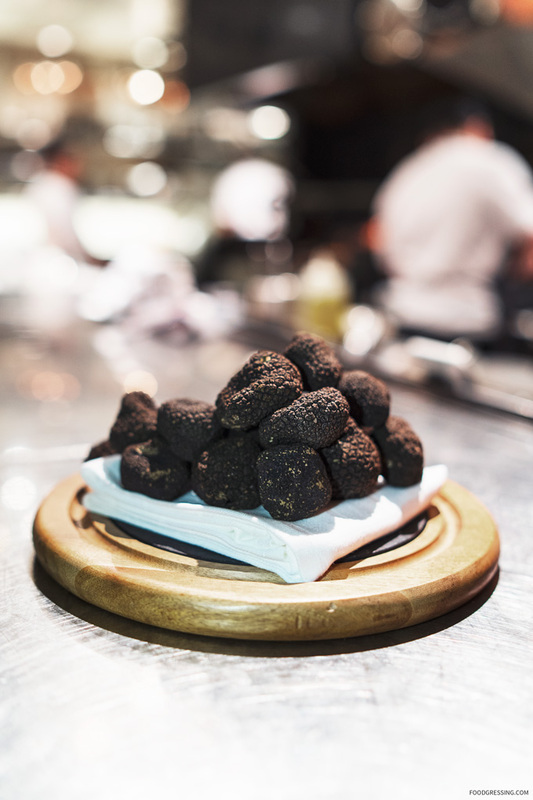 Truffles…little balls of decadence, highly aromatic and highly prized. 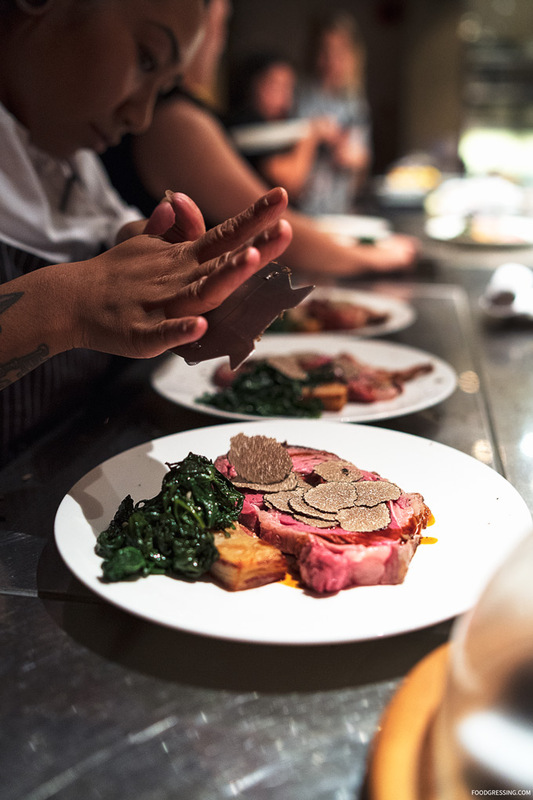 CinCin’s annual Truffle and Mushroom Celebration is now on until November 30. Black and white truffles or ‘the miracle in black and white’ have been carefully sourced and hand-selected for their special men. I attended Executive Chef Andrew Richardson’s five-course truffle dinner experience which was paired with renowned Piedmont wines. Here are the dishes we enjoyed for the evening. 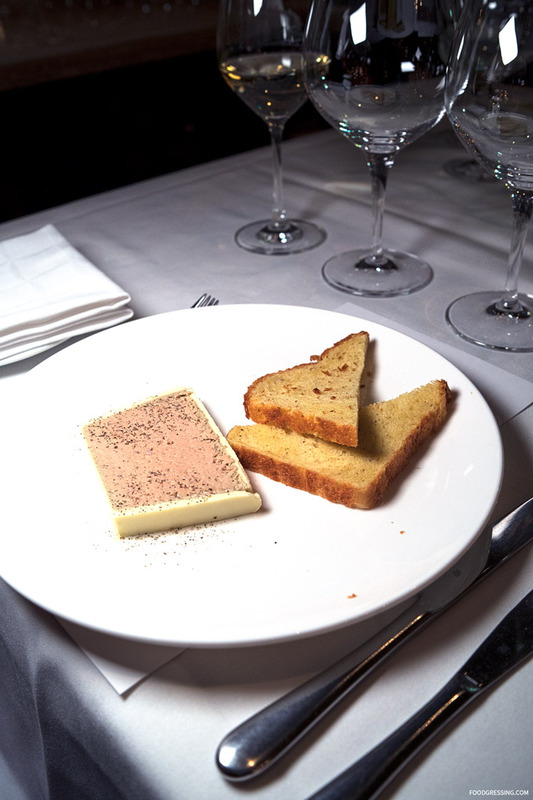 Foie gras with preserved black Australian truffle – truffled brioche. Paired with G.D. Vajra/Luigi Baudana Dragon Chardonnay. 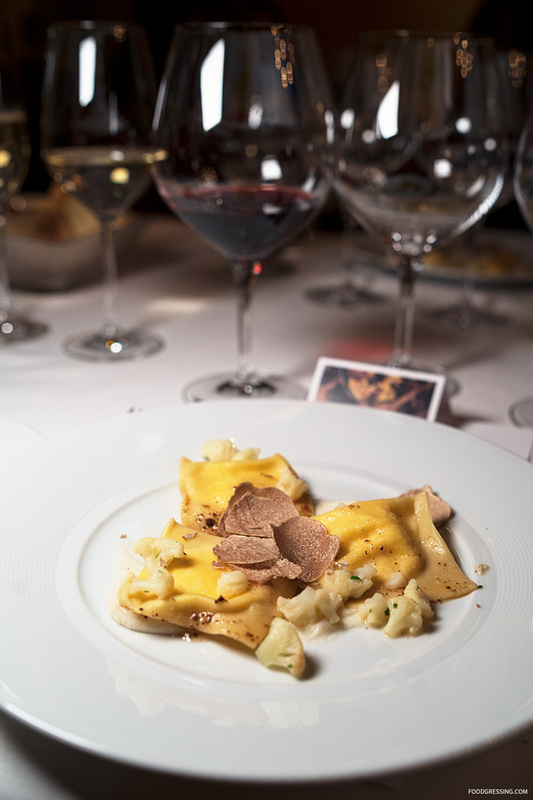 Ravioli of ricotta and parmesan, smoked cauliflower – white truffle from alba. Paired with Giovanni Rosso Donna Margherita Barbera d’Alba. 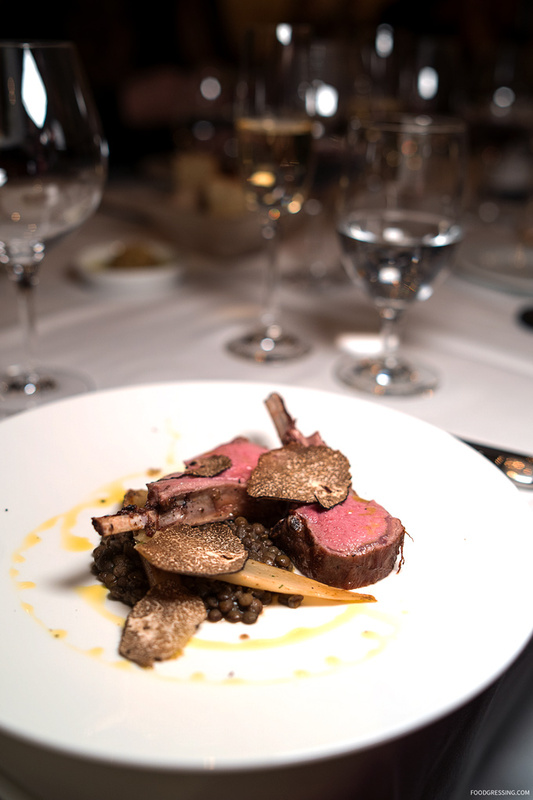 Lamb rack from Alberta grilled over fire with salsify, castellucio lentils, and black truffle. Paired with Giovanni Rosso Barolo. 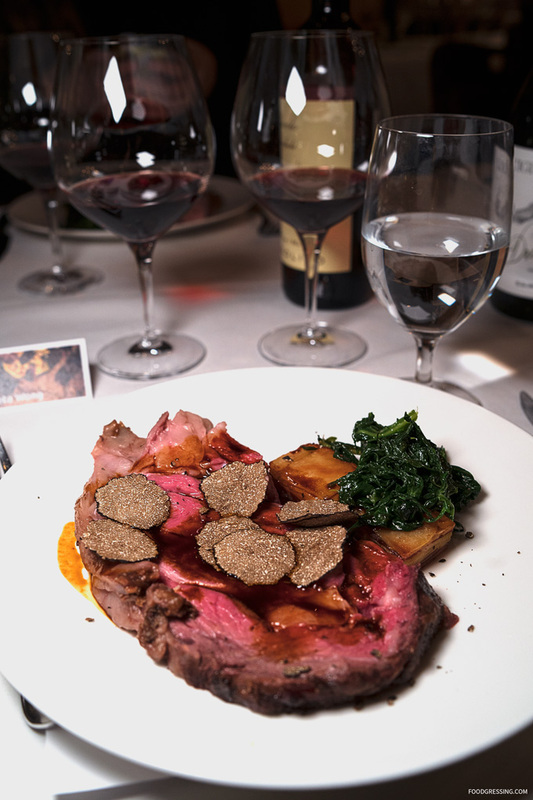 10 hour rib eye of beef hung over fire with potato, prosciutto, cavolo nero, red wine, and black truffle. Paired with Massolino Parafada Barolo. 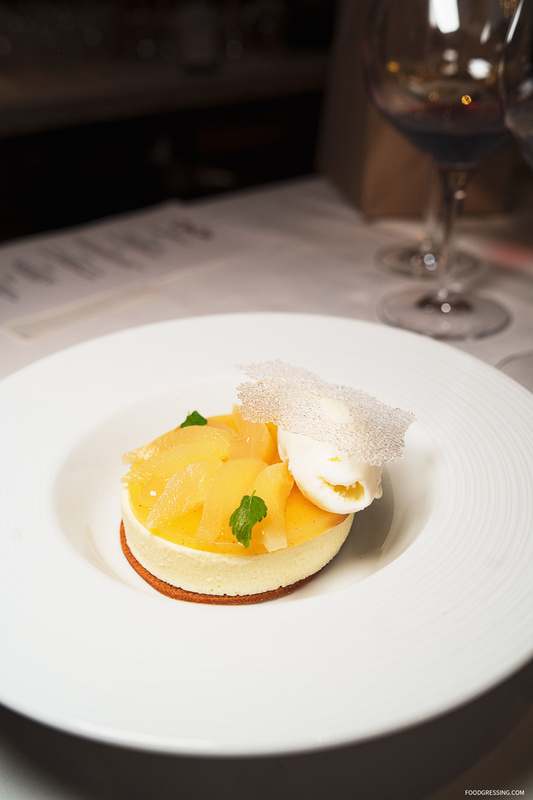 Almond and pear tart: poached pear, almond mousse, bergamot and pear jelly, and ricotta sorbet. Paired with Massolino Moscato d’Asti.